Were you sickened with E. coli? Did you suffer from days of diarrhea or vomiting, and did your tests reveal E. coli bacteria in your system? E. coli can be very serious and even deadly in children, the elderly, and those with weakened immune systems. If you became a victim of E. coli food poisoning, our attorneys at Edgar Snyder & Associates are ready to help. Rely on us to help get you the compensation you deserve for your hospital bills, medical costs, and missed work time. 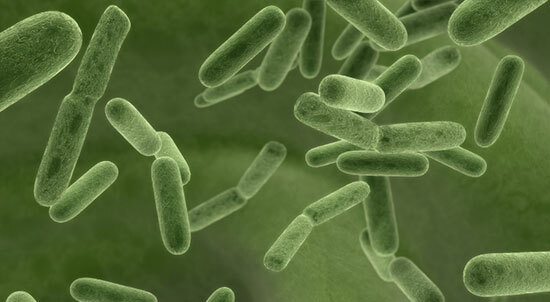 E. coli is part of a large group of bacteria. Although most strains of E. coli are harmless, there are some strains that can produce dangerous toxins and make people very sick. In fact, E. coli is one of the leading causes of foodborne illnesses resulting in hospitalization. Usually, E. coli food poisoning is associated with eating undercooked, contaminated ground beef. Follow these food safety tips to help reduce your chance of E. coli food poisoning. However, there have also been E coli. outbreaks related to non-pasteurized milk and juice, leafy greens like lettuce and spinach, and other undercooked or raw meats. Symptoms of E. coli infection are usually over within a week, although some individuals, like young children or older adults, may experience more severe complications within two weeks of the onset of their symptoms. In severe cases, patients may suffer kidney damage or die. What Should I Do if I've Been Sickened by E. coli? If you're experiencing any of the symptoms listed in the bullets above, you should seek immediate medical attention. Whether you go to the emergency room or see a primary care physician, remember to ask for a test that confirms E. coli poisoning. Without one, it may be hard to prove your food poisoning case. While most people recover from food poisoning in a couple of days, some contaminated foods that lead to illness can leave you sick for weeks and require you to be hospitalized. This means medical bills, hospital bills, and time off work. At Edgar Snyder & Associates we understand the pain, frustration, and financial toll a case of E. coli food poisoning can have on you. If you, or someone you love, have been the victim of food poisoning – like E. coli poisoning – you need a legal team with the experience, resources, and high standards of client care to win your case and help you get your life back. Call us toll-free at 1-866-943-3427, or fill out the form at the top of this page for a no obligation, free legal consultation. Find out if you have a case today. Please note: All of our lawyers are licensed to practice in the state of Pennsylvania. We also have lawyers licensed to practice in Maryland, Ohio, and West Virginia, and we associate with experienced attorneys in other states. In addition, all foodborne illness litigation may involve co-counsel.